Rapid Rehab Physical Therapists use the latest scientific evidence and tools to help women with osteoporosis. The NOF and Harris Interactive survey also showed that nearly 70 percent of women who responded to the survey believe that the disease can be prevented. However, only 50 percent recognized exercise as a method of osteoporosis prevention and only 27 percent believed diet had an impact. 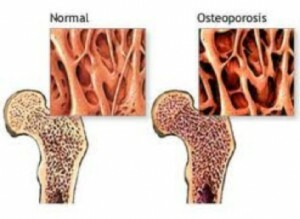 Approximately 44 million Americans have osteoporosis. Women make up 80% of these people, and men only 20%. Physical therapy treatment for osteoporosis includes exercises utilizing The Meeks Method, postural re-education, ADL training, and for appropriate candidates the use of a Spinomed IV brace that utilizes biofeedback to stimulate muscle activity. The Rapid Rehab staff is available for patient and physician consultation and to answer any questions. Please call 540-665-2750 (Winchester) or 540-636-3500 (Front Royal) if you have any questions or wish to schedule an appointment. Dr. Ghramm was referred to Rapid Rehab for treatment of osteoporosis and back pain. During his initial visit, it was determined that he had an increased curvature in his mid-back, increased curvature or dip in his low back, and a severe angulation within his lower neck. Dr. Ghramm was fitted for a Spinomed brace to control thoracic kyphosis or excessive curvature in his mid-back, thereby, reducing the strain to his back. The brace strengthens the muscles of the spine thereby improving his posture and decreasing the excessive curve in the back. The accessible design of the Spinomed brace allows the wearer to apply and remove it without difficulty, like a back pack, and it can be worn discreetly under clothes. 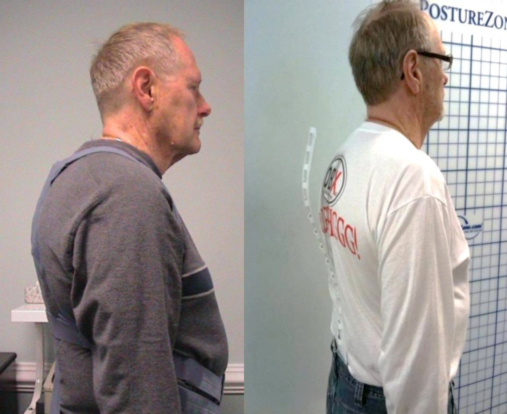 Postural correction exercises combined with use of the brace during activity significantly improved the curvature while also eliminating Dr. Ghramm’s pain. 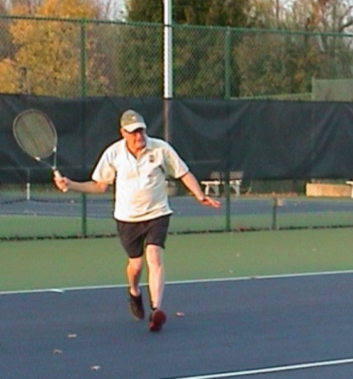 “My most recent treatment with Rapid Rehab was to learn exercises for my neck pain. Attention to detail and personalized instruction helped me to overcome the pain in the left side of my shoulder and neck. I try to perform the exercises several times a week and some of them daily. The Spino-Med Brace, over time, improved my posture and lowered my back discomfort. I am more aware of my back muscles and abdominal core.